This fifth wheel has all the features that will make your family feel right at home. With room for eight, invite the grandparents and the cousins for a trip everyone will remember. After a day of hiking the trails together, come back and relax in the rear living area that includes theater seats, a hide-a-bed sofa and an entertainment center for family movies. You will love how easy it is to lay out snacks on the kitchen island and store food in the refrigerator or pantry. 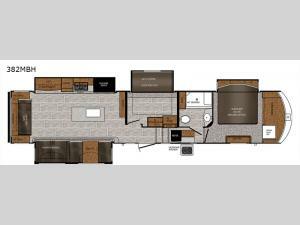 This unit includes two separate private bedrooms; one for mom and dad, and one for the kids that includes a bunk! With an outdoor kitchen in this unit, you can make breakfast outside and enjoy nature all around you. 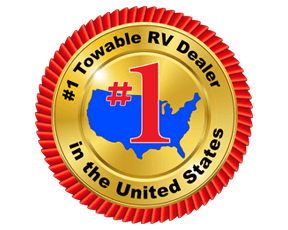 Make this fifth wheel yours today! In any Prime Time Crusader fifth wheel you will find the exclusive Eternabond Construction, which includes aluminum framed side walls, end walls, and main floor to ensure years of use. The king size shower with a seat and the Deluxe Skyview Skylight over the tub allows you to get ready for the day without feeling cramped. Each unit features a 5,100 BTU LED fireplace, an LED lighted awning, USB charging stations, and a large LED TV. You'll enjoy stainless steel appliances in each kitchen, as well as solid surface counter tops, polished Nickel fixtures and hardware, and a deep, single bowl sink. Make the choice today to start a new adventure with one of these Crusader fifth wheel's!